← A handful of fire power! I finally finished my crochet Vera! It’s been a good 80 hrs of work (possibly more, I’m not very good at keeping track) but she’s finally done! She’s so cuddly and pretty and huge, I love her! She’s completely crocheted without a pattern, filled with upholstery foam and wooden dowels for stability as well as ceramic baking beads for weight balance. She’s quite heavy for a crocheted item, but still light enough to tote around all day. I’ve started working on Jayne’s knife and will also crochet his handgun and holster and belt pockets. Hoping to get it all done before August for NineWorlds Geek Fest! 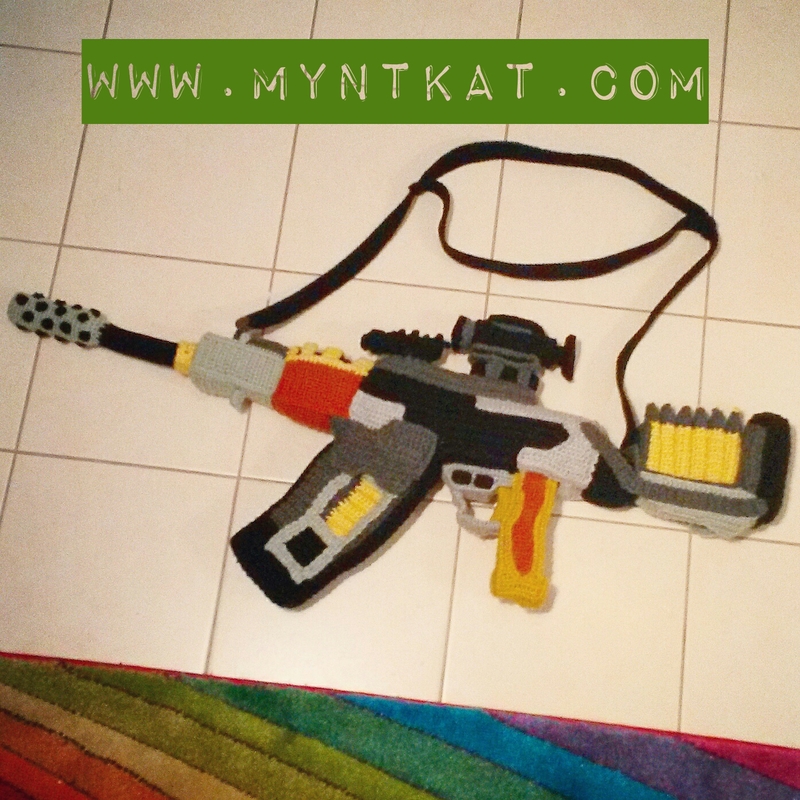 This entry was posted in Blog, Crochet and tagged cobb, cosplay, costume, crochet, gun, jayne, pattern, reference, serenity, vera. Bookmark the permalink.